I am trying my best to be intentional with my new wardrobe makes, which means only putting in the time to make things I will actually wear. That entails more planning on my part. My past sewing and sometimes even knitting endeavors tended to run along the lines of being inspired by something I saw and then wanting to do it myself without actually thinking about whether or not it'll fit into my wardrobe. 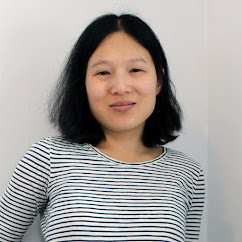 I am also trying to make things a season ahead of time because it makes more sense to have things ready to wear when the weather changes rather than scrambling to finish things when I have already needed them for a month or so. So I am putting pen to paper (so to speak) and making a list of items I want to make for Fall/Winter. Some things I've even started on already and the rest is in the works. I am not operating under the illusion that I'll make everything but this will serve as a wishlist of sorts. 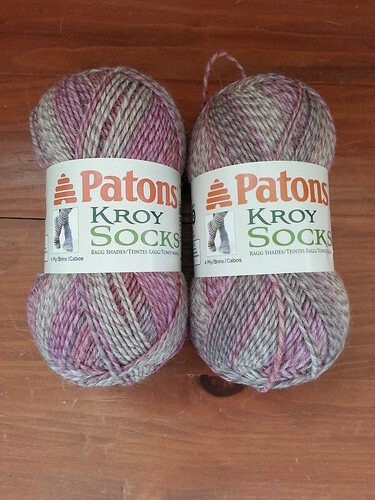 At least 1 pair of fingerless mitts: I've got a simple Patons Kroy pair on the needles. I have 2 pairs already but in the fall/early winter I use them all the time for walking to work and walking the dogs as well so it would be handy to have one more. 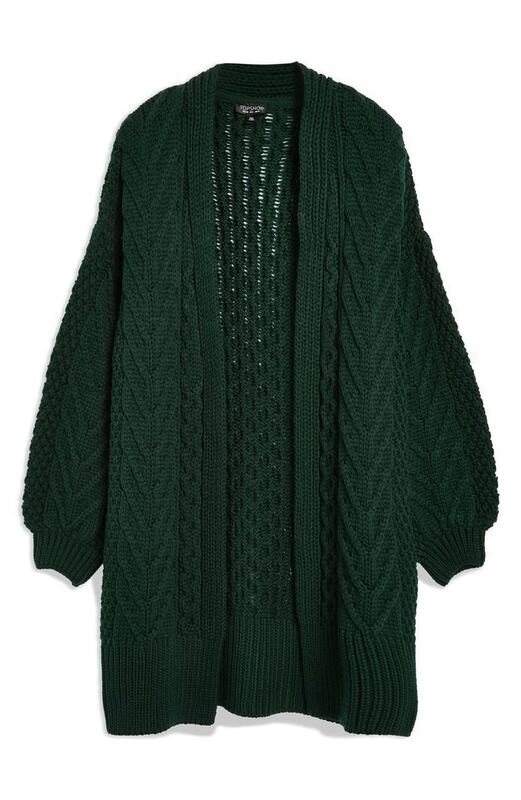 Remake Topshop cabled cardigan: I will write an entire post about this eventually but I fell in love with this cabled cardigan from Topshop. I bought it and realized it was knit out of the crappiest acrylic imaginable, so it had to go back. I ordered a bunch of Knit Picks Wool of the Andes Superwash to remake it. I have finished the sleeves and the back and I'm working on the fronts now. 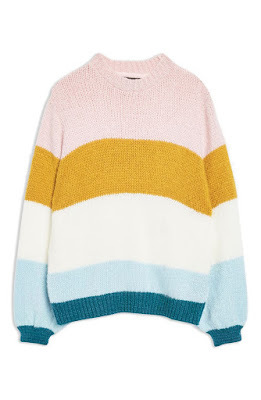 Topshop colorblock pullover: I didn't buy this one because it's so simple I don't need to see the garment to copy it. I love the colors and the oversized fit but again, I assume the materials aren't up to par. I bought a variety of worsted weight Knit Picks wools in appropriate colors to remake it. Convertible Mittens: I have 2 pairs of convertible mittens and they will probably be enough to get me through another winter but it might be nice to have a new pair. The problem is that I really hate making them. You know those sock knitting services where they can crank out most of a pair of socks on a knitting machine and you just have to do the finishing work? I really wish they had that for convertible mittens. What I really want is a pair with the individual fingers but that is even more work than convertible mitts, so we'll see. I certainly have enough sock yarn to choose from. Convertible Mittens for Spicy: My husband arguably needs convertible mittens even more than I do. so if I can stomach it I'll try to knit him a pair. Mustard Textured Scarf: I have plenty of scarves and shawls so I don't *really* need this but I could use a nice simple textured yellow scarf. The only reason I haven't started is because I'm anticipating getting bored really quickly. For some reason I like to wear very minimal uncomplicated things, but I generally prefer knitting more interesting ones. I've thought about maybe designing a gansey-esque cowl or scarf that would be reversible. I think Brooklyn Tweed has one but right now I am uninterested in giving BT any of my money so I'll either make up my own or go even simpler with an allover waffle or herringbone texture or something. It would also be nice to get this yarn out of stash. It's been around for awhile now. Jeans! I have a test pair in the works right now. 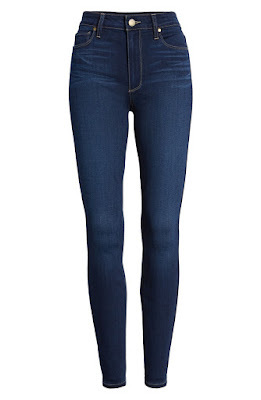 I've purchased some cone mills denim from Threadbare Fabrics in black and indigo. My plan is to do a dark wash high rise skinny jean and a pair of black crop flares. More on this soon. Self-drafted blouses: So I want a couple of tops that are similar to Shirt No. 1 and the Lou Box Top. However there are a few things I would change and because it's such a simple shape I should be able to draft my own using my measurements. I have some rayon challis and cotton lawn that I'd like to use. I'm planning to start this project when I finish my test jeans. Wrap Skirt: I found this 90s throwback wrap skirt that I really like. 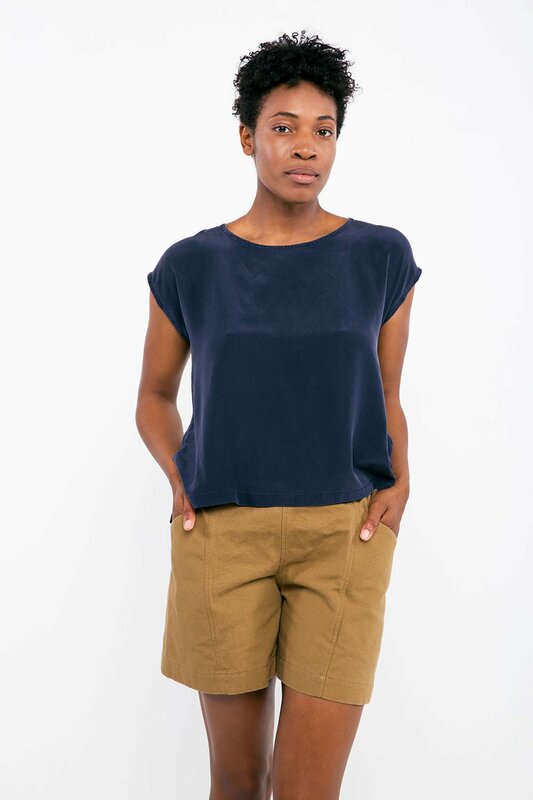 I dug through my pattern stash and came up with Simplicity 2512. It's a mock wrap but I think I can easily convert it to a true wrap skirt. I may also try to add pockets. I bought a beautiful floral Art Gallery rayon challis print and bemberg lining. 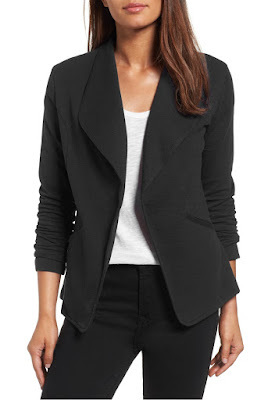 Black Morris Blazer: I really need a black blazer. The only reason I haven't made one is because I'm scared. I have the Grainline Studio Morris Blazer pattern and some stable sweater knit that I think will work. I just need to be brave enough to try it. I don't have a very formal work environment so a casual knit blazer would be totally appropriate and versatile for my job. Wool Wrap Coat: Being scared of sewing a blazer means I'm terrified of sewing a coat. And I have 4 coats so I don't really need a new one. However, I have this gorgeous navy wool flannel that I bought several years ago to sew a coat for my husband. I ended up just buying one that he never even wears so I'm not wasting this lovely fabric on him. :-P I found a wrap coat in an old Burdastyle magazine that may be a good fit if I can figure out the incredibly vague instructions. 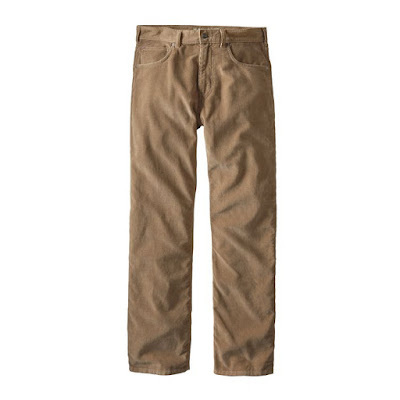 Men's Corduroy Pants: Back in the day I sewed my husband several pairs of pants using Kwik Sew 3504. He wore those pants until they fell apart. Like me, he has lost a bunch of weight recently and could really use some new pants for winter. I happen to have leftover corduroy fabric so I could remake 2 pairs of the exact same pants I made him all those years ago. I'm sure if I did he'd really appreciate it. and since i'm finally learning to sew jeans the proper way, I could make it happen. so I will do my best. Looking back through the list I have most of the materials for all of these makes. So I am really hoping I can tick off a majority of the list within the next 3 months or so. What about you? I'd love to hear about your Fall/Winter makes. 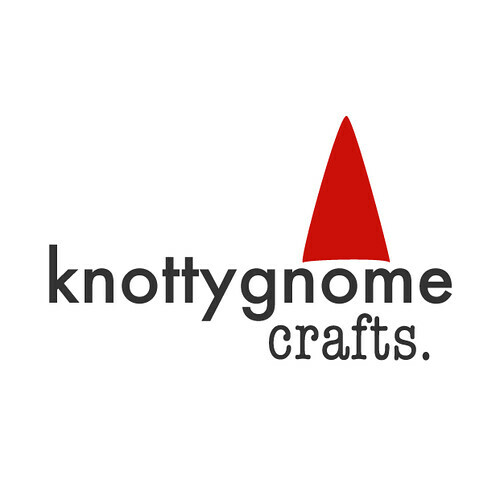 Do you plan ahead or are you frantically knitting/sewing at the last minute like I usually do? Do you have any suggestions for cold weather staples that I should add to my list? Hi Sara L .It's been a long time since I have posted .We sold our farm in the Midwest and moved to the west coast...such a different lifestyle change, and a very welcome one .I am finally getting to the point of sewing again. I look forward to seeing your creations .I am thinking about dusting off my blog and they to update it .Take care . It's so great to hear from you, Kay! I am glad that you are doing well.